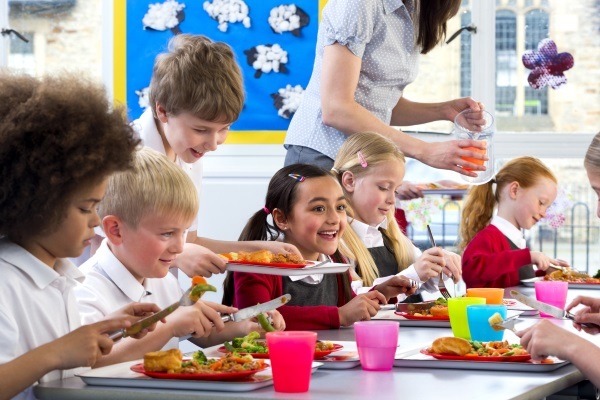 The introduction of new criteria for free school meals eligibility has put some children's entitlement in doubt. John Viner summarises the change and its likely implications. With the roll-out of Universal Credit, parents claiming the credit had expected that they would also be entitled to claim free school meals for their children. Hence there was much uncertainty and concern surrounding the announcement by parliamentary under-secretary of state for children and families, Nadhim Zahawi that free school meals entitlement (FSM) would be limited to those Universal Credit-claiming families with net earnings less than £7,400. Although this is a very low threshold, the government has stated that, once all benefits are taken into account, a typical family earning that amount will take home between £18,000 and £24,000. This is higher than the current £16,200 earnings threshold, but lower than the £55,000 threshold that would have come into force without these changes. It is the abandonment of the originally planned threshold that will affect many families who were expecting to receive FSM and now will not. Schools therefore need to be aware that some of their families will be losing the free school meals entitlement they have enjoyed hitherto. Care should be taken to check what arrangements have been made to feed these children, or whether they are at risk of going hungry at lunchtimes. There will be winners and losers but your view of who is winning and who is losing is likely to be coloured by your political position, for this has become as politically divisive as any measure taken hitherto. It all seems to hinge on the figures. Unsurprisingly, the government have declared that the change will move into FSM entitlement a significant number of children who were previously excluded. Overall, the position appears to be that an estimated 210,000 children, not currently eligible for free school meals, will qualify after the rollout of Universal Credit. However, estimates of around 160,000 of pupils currently entitled to free schools will lose out, making the total increase in eligibility in the region of 50,000, or four per cent. Because of the way the formulae work, it is the children of lone parents who will benefit most. This could make up the whole of the four per cent increase. Whatever the accuracy of these estimates, the independent Resolution Foundation, suggested that the FSM issue risks undermining the key aim of Universal Credit, to ‘make work pay’ by creating the cliff-edge referred to by Angela Rayner, which discourages people from entering work, or increasing the amount of work they do. The think tank made the point that, while Universal Credit offers a desirable simplification of the benefits system, the issue of FSM should have been addressed before moving people on to it. Universal Credit – if you apply on or after 1 April 2018 your household income must be less than £7,400 a year (after tax and not including any benefits you get). And, as the DfE points out, children eligible for free school meals will remain eligible until they finish the phase of schooling (primary or secondary) they’re in on 31 March 2022. Right now, it is hard to see where the truth lies. A very detailed analysis of claims and counter-claims by Full Fact, the UK’s independent fact-checking charity appears to suggest that opinion is divided and it will take time to know the real impact. Some authorities assert that a million or more children will miss out, others estimate 100,000, while the DfE projects a 50,000 increase. It is a very confusing position, and all schools can do at the moment is be alert because, whatever the figures say, it is individual families that will feel the impact. For them, there will be winners and losers. There may still be over a million children receiving FSM but they may not be the same million children as before. The trick for schools will be to understand and respond to the difference.